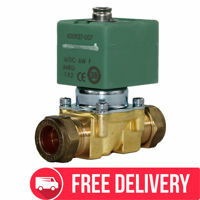 The Asco SCXH210G202BW is designed for use for pressure ratings between 0.35-10 Bar. 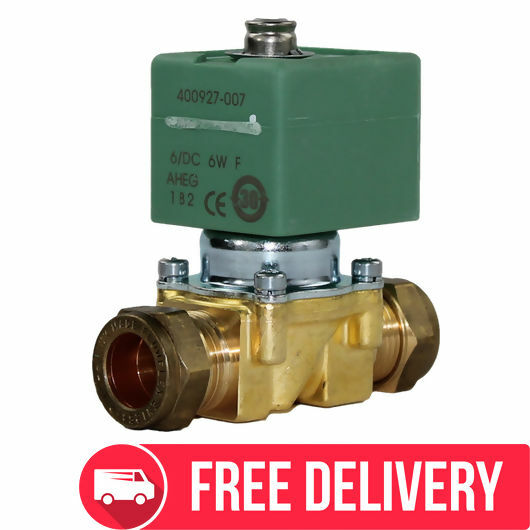 Prior to installation it is imperative that any potential debris, swarf or dirt is removed from the existing pipes to prevent a build up of trapped material within the diaphragm of the Solenoid Valves. We would recommend the use of a Y Type Strainer within the pipeline installation at the Valve inlet port. The two-way shut off valve is commonly used in washroom and urinal applications and is covered by the PED (Pressure Equipment Directive) 97/23/EC suitable for group 1 and 2 fluids. The SCXH210G202BW is available in two different build schedules with TPL (Temporary Parts List) 25432 & 15764. Please call to check availability of either number. All units are classed as WRAS approved EPDM seals for use with potable, drinking water applications. Arrived quickly and good price. Ive had 4 in total now without issue.